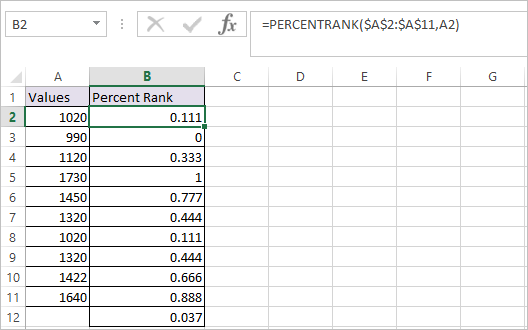 PERCENTRANK Function in Excel calculates the relative position of a specified value i.e., rank of specified value in terms of percentage, within a set of values. 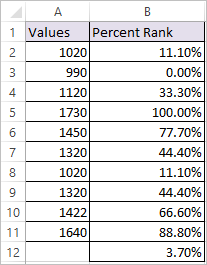 [significance] – Number of significant digits that the returned percentage value is rounded to. (By default the returned percentage value is rounded to 3 digits). Now select all the values from B2:B12. 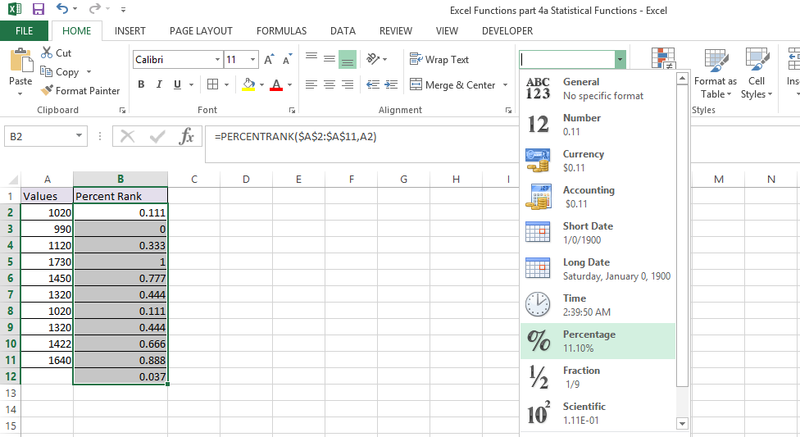 From the drop down click percentage as shown below so that all the values are presented in percentage.